Gold and Gunmetal Metallic Tassle Tote with Inner Pouch. Sydney Love is a distinctly recognizable brand with whimsical print handbags and accessories at affordable prices. Buy direct from Sydney love now. 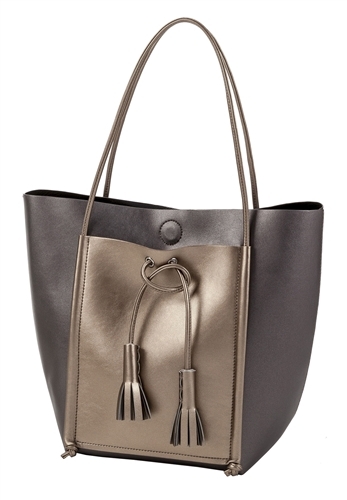 With it's soft metallic material, slender shoulder straps and magnetic top closure, this tote with tassel detailing is a must-have. 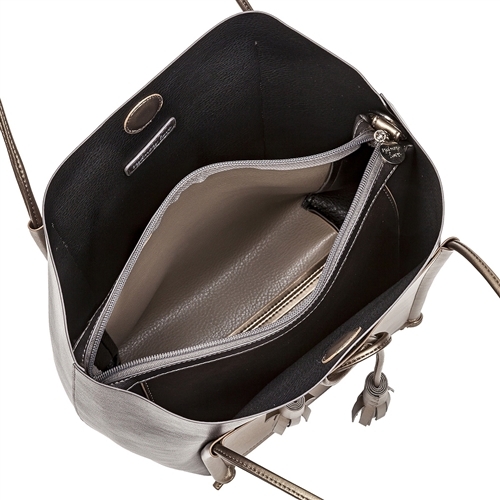 Comes complete with an inner pouch that provides organization within the tote or can be styled separately as its own crossbody bag.